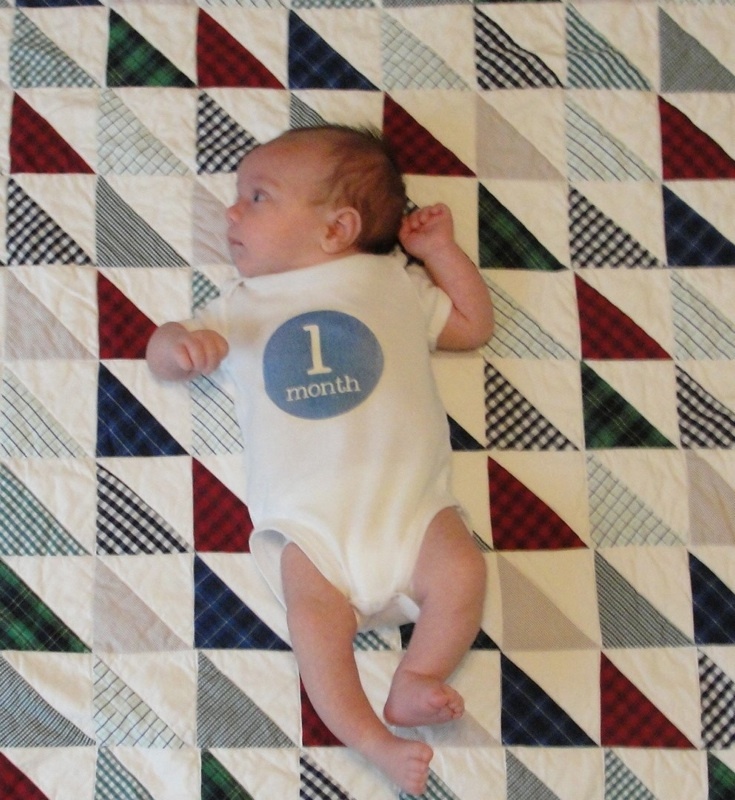 Guess who turned one month old on Friday? I can’t believe how fast that went by. This past month, I was born, gained about 2lbs, and have started to become more alert and love to “talk” to my toy puppy, Spot. I am a good eater and sleeper, waking up only once or twice a night. I love to take baths and snuggle with mommy and daddy. I can’t wait to see what the second month will bring.